The Technomancer - Buy and download the game here! 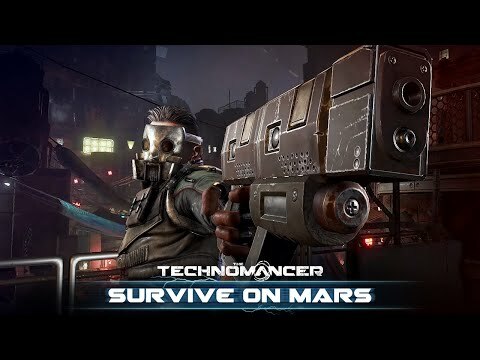 The Technomancer is a sci-fi RPG set on Mars, featuring dynamic combat and an epic story line, where your choices will affect the fate of the Red Planet. You are a Technomancer, a formidable warrior harnessing destructive electrical powers. Embark on a perilous journey across a planet torn apart by conflict and infested with mutant creatures. Travel with your companions, choosing between diplomacy, combat or trickery to resolve quests. Gain experience to level up your character, and learn new skills or upgrade perks across 4 unique skill trees. Loot, buy and craft more powerful equipment and weaponry for yourself and teammates, to stand a chance of surviving! Only you can forge the destiny of Mars. © 2016 Spiders Studios and Focus Home Interactive. THE TECHNOMANCER is developed by Spiders Studios and published by Focus Home Interactive. THE TECHNOMANCER and its logo are trademarks or registered trademarks of Spiders Studios. All other trademarks or registered trademarks belong to their respective owners. All rights reserved.